It has been very wet and windy this past week. With the weather getting colder the girls wanted to stay in and play. 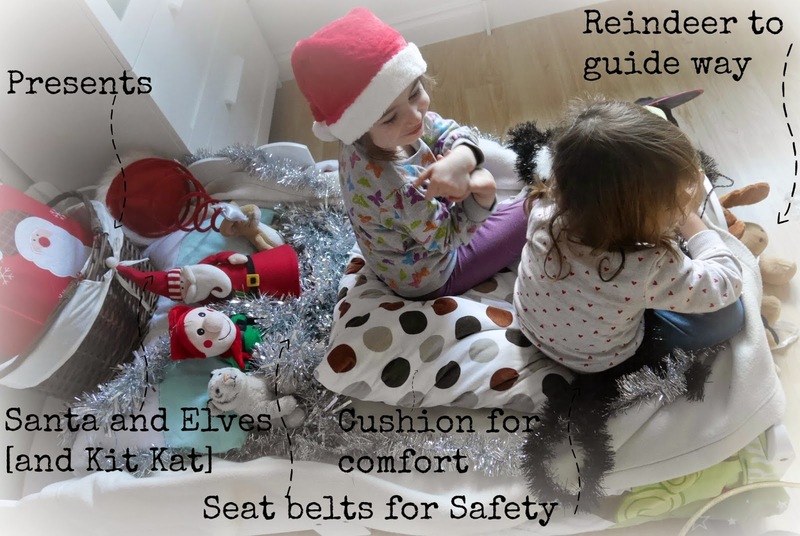 I had seen a competition by Mattress online to create a super sleigh from your bed and this sounded like the perfect activity for the girls to do. The girls got busy making their super sleigh. I was tasked in finding them some wheels because my daughter pointed out it would need to drive when it wasn't flying. They loved looking through the box and discussing what each item could be. It was amazing listening to their imagination come to life. 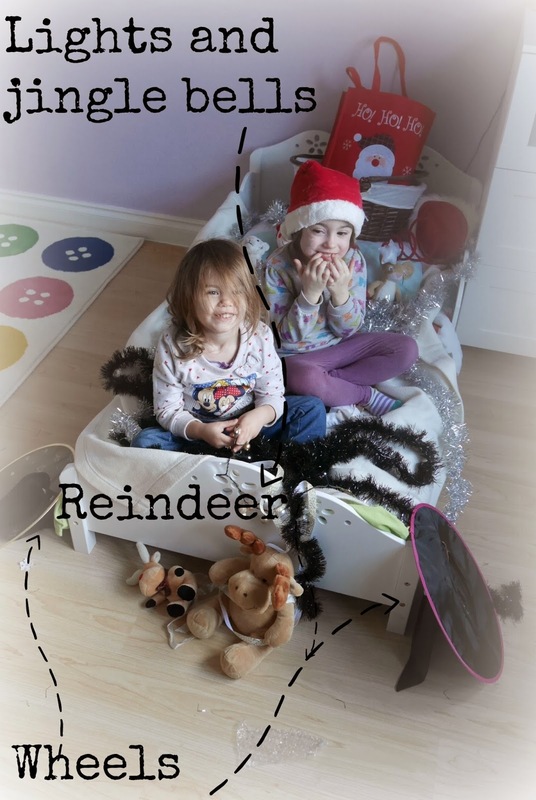 The girls have thought about all details of the sleigh. Comfort is taken care of with the cushion and safety with the seat belts. They have thought about travelling at night with the addition of lights [don't worry they work on battery and I was with them all the time]. I sat in the back of the sleigh next to Father Christmas, the Elf and the Cat and the girls took me on a magical journey. The sleigh is to help Father Christmas deliver toys. It can fly high in the sky and is guided by the two magical reindeer. It was a beautiful day spent with the girls, listening to them play together and with me. I love their story telling and how beautiful their imagination is. I would love to know what your sleigh would do, would it help Father Christmas like my girls does or perhaps something else? Your girls are adorable. This competition has been a great chance to get the kids imagination going hasn't it?